Signature Iron Garage Doors will enhance your home in security and elegance. There are numerous designs for you to choose from and make your own. This is a home of a customer in Gilbert Arizona. 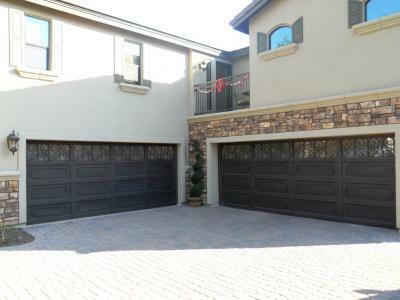 We matched the garage doors and railing in our Milan style to fulfill their vision. All iron is hand forged and built by a design and welding team precisely how you want it. Call us and come visit our showroom in Phoenix Arizona to meet with a sales representative and find out how you can obtain an iron garage door for your home.